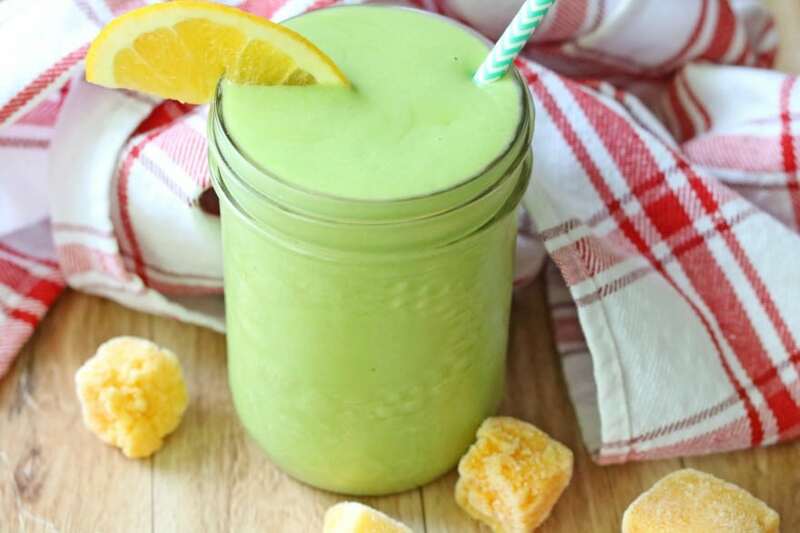 Get a healthy dose of protein, fruits, and veggies in this Orange Mango Green Protein Smoothie. 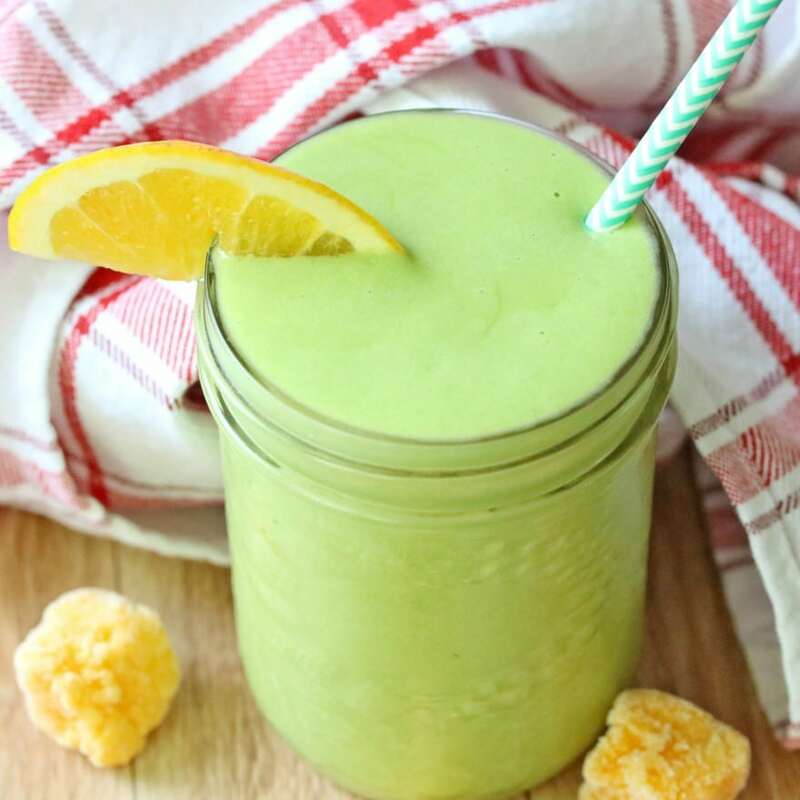 With mango, orange juice, avocado, spinach, protein, and almond milk, you’ll get all kinds of good-for-you nutrients in a convenient drink for breakfast or a post-workout pick-me-up. This summer, we’re obsessed with mangoes. If you haven’t tried our Mango Banana Smoothie and Pineapple Mango Green Smoothie, I highly recommend them! 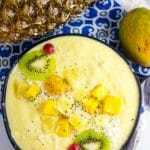 Both are very kid-friendly, and they have that creamy tropical taste that you crave when the weather is hot. 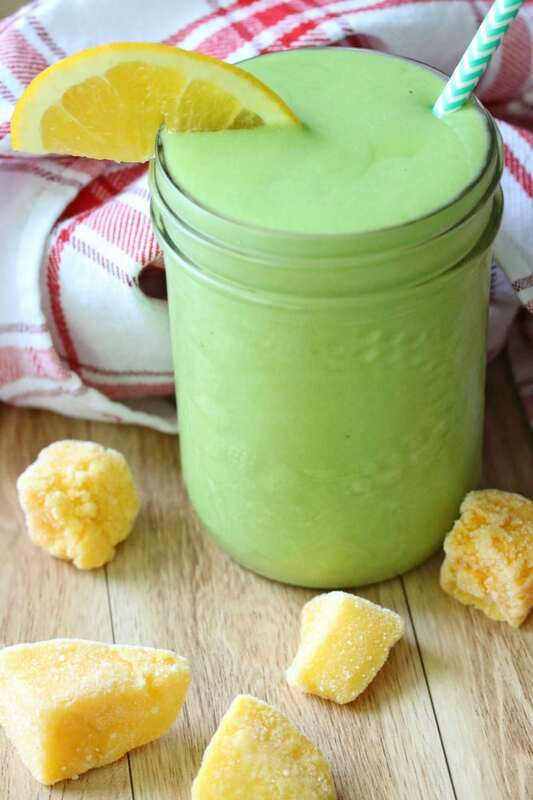 This tropical protein smoothie makes a great post-workout drink. It’s one of my husband’s favorites on weight-lifting days, and you know it’s a winner since he doesn’t usually dig green smoothies! 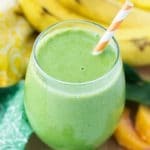 If your blender is on the small side (or has a small motor), I recommend skipping the ice in this recipe to avoid making it too thick. 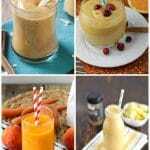 But if thick smoothies are your thing, go for it with the ice! It’s so creamy, cool and delicious — totally satisfying on a hot day. 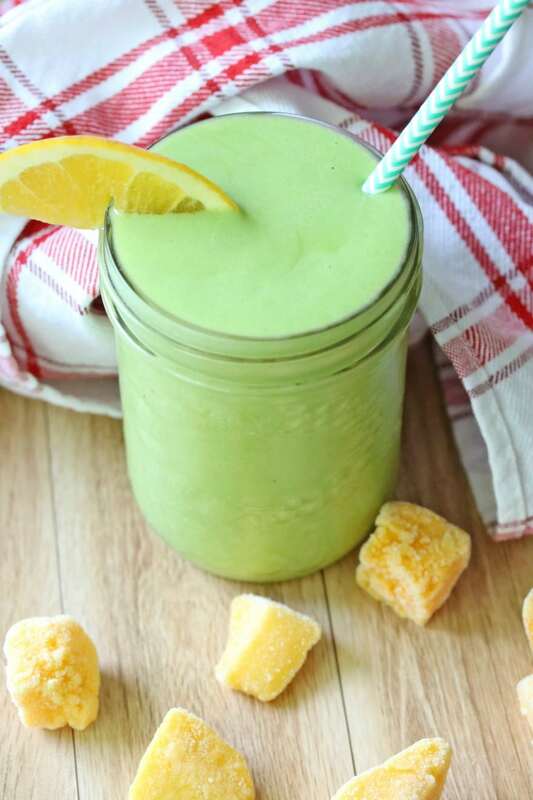 This orange mango green protein smoothie is packed full of fruits, veggies and protein to keep you full and satisfied! Pour in the almond milk (or other milk of your choice). 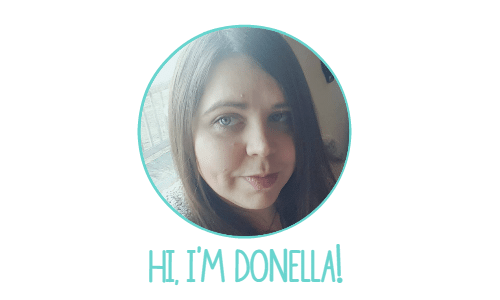 Blend on high until thick and fully combined. 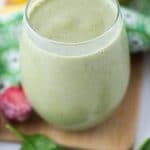 Depending on your blender you may need to add additional water- due to the frozen mango and avocado this smoothie is very thick.​ Alternatively, you may skip the ice cubes to thin it out a little. How good does that look? What’s your favorite combo for a mango smoothie?